“Sugar, spice, and everything nice” *insert record screeching noise* these pecans are far from nice. I would call them candied pecans naughty and rebellious sister. Sure some are really sweet with just a hint of spice but others are slap your mama spicy. Consider them the Russian Roulette of the snacking world. Powdered sugar and cayenne pepper transform a simple southern nut into sweet, sassy, and a little bad assy. They will make a fun addition to cocktail hour this holiday season. Warning they are highly addictive! I will be buying them in bulk and making batch after batch of these bad boys. You could just eat them as is. Oooooor you could chop them up and throw on a salad. How about a fun topping on sweet potato casserole?! Yes! New favorite ice cream topper? Uh huh! Really the uses for them are endless. You could be a good neighbor and friend and package them up in a cute jar and give them away as gifts. Are you a sweet and spicy person? Mmmmmm I want these right now! I love this recipe. Would make a great Christmas gift for my neighbors too! This sounds super delicious and perfect for fall! um, yum! I love sweet pecans, but I think I’m going to LOVE spicy pecans more! I’m pinning these for later! They will give your willpower a real test! Holy yummm. Totally making this for my Friendsgiving feast! I am serving them at a party tomorrow. 😉 Hope everyone enjoys! I have a bunch of pecans leftover from making granola. Going to try this, thanks! My husband would go crazy for these! And I’m pretty sure they wouldn’t last long in our home. These pecans sound fantastic!! I need some right now! Thanks Lindsay! Once you start you can’t stop! Yum. I love the added hint of spice. Thanks Tish these are quickly becoming my favorite food. These nuts look great, thank you for sharing this recipe! I’m always trying to make nuts around this time of the year! It is such a easy treat! Given as gifts in Tupperware of course! 😉 I’m on it. 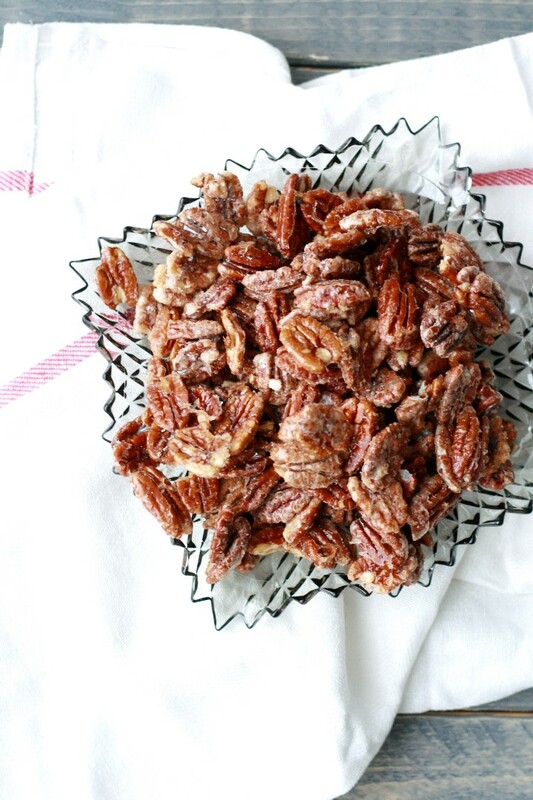 I’ve always loved sweet and spicy pecans but have never tried it together. We’ve got all the ingredients and I think we’ll give it a try this weekend! 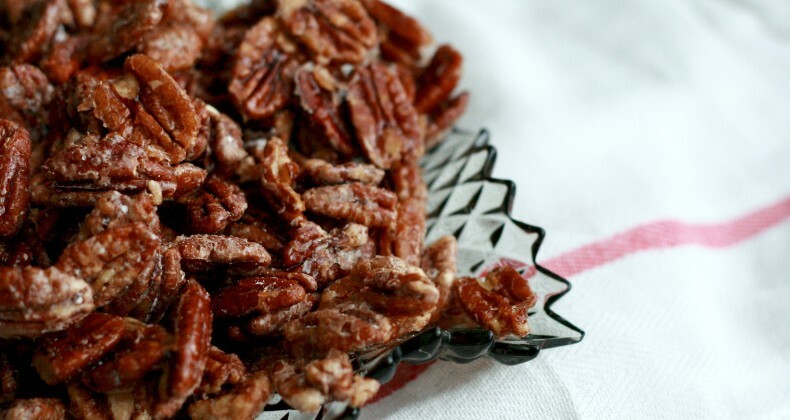 The holiday season just won’t be the same without homemade flavored pecans! 🙂 These look delicious. I have tried paprika and chilli powder in the past but cayenne pepper sounds intriguing! These look delicious and easy! I LOVE candied nuts on my salads, but I’ve never tried both a sweet and spicy one…sounds awesome! Hoping to try it next time! Oh my gracious Anjali you will love them.